Tim Woodson shows off his pirate ship at the Progressive Insurance St. Louis Boat and Sportshow. The event was held at the Edward Jones Dome, the former home of the St. Louis Rams. 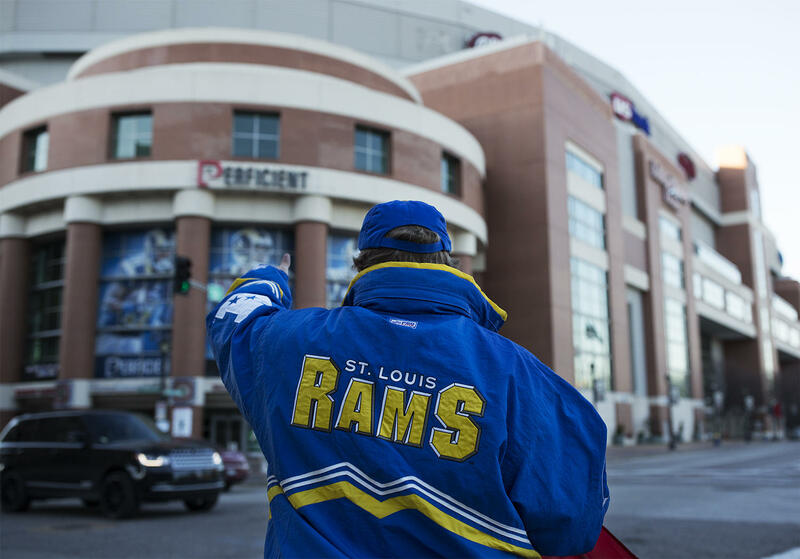 Ever since the St. Louis Rams started packing up for the Los Angeles area, local policymakers have tried to embrace a potential silver lining – more space on the calendar for lucrative events. When the Rams weren’t losing lots and lots of games in the Edward Jones Dome, the facility was used for conventions, trade shows, monster truck rallies and awesome boat shows. The thought was that with the Rams no longer occupying the Dome during the fall, non-football events could fill the void. But Convention and Visitors Commission President Kitty Ratcliffe has a message for purveyors of this idea: Wishing and hoping isn’t enough. It will take a financial commitment from the region to make the convention center more attractive for potential events. Ratcliffe pointed to several functional issues with how the convention center is laid out. For one thing, it’s not particularly easy or practical to get food to people who dine in a banquet hall. The Jones Dome and convention center host more than 100 events every year, including the boat show. She also said it’s not particularly easy to transfer large groups of people from the convention center to the Dome. And she said these types of problems hava a tangible impact. “So if we have a big convention that has 20,000 people, 25,000 or 30,000 people – and they’re all in a big, general session in the Dome that starts at 7 p.m. and they all have to get into the Dome from the Convention Center in time to get seated for that event, you can’t really move them from the Convention Center,” she said. “These bottlenecks occur that can sometimes take groups as long as an hour to move people from one side to the next. And that is a challenge for us for repeat business. “We expect this improved volume of meetings, trade shows and events to more than replace the loss of commercial activity the facility has forgone with the departure of the Rams,” the report states. Ratcliffe said she’s started talking with officials from St. Louis and St. Louis County about publicly financing the improvements. The cost of making these convention center changes will cost is not set, as of yet. Not everybody possesses a magnanimous opinion about the push to invest in St. Louis’ convention center. Heywood Sanders is a professor of public administration at the University of Texas at San Antonio. It’s not too hard to figure out that Sanders is a skeptic of publicly subsidizing convention centers, as evidenced the title of a book he's written: Convention Center Follies. The future of the Edward Jones Dome is a big topic of discussion now that the St. Louis Rams are gone. Sanders said the big problem with expecting big returns from convention center investments is nationwide competition. For instance: Las Vegas has almost unlimited resources to provide convention infrastructure, because its convention and visitors’ authority receives tax revenue when people book hotel rooms. And that’s just one example. Sanders said policymakers need to be careful not to believe the notion that conventions are “some magical elixir for doing great things downtown or boosting the St. Louis economy.” He noted that consulting companies have almost always suggested expanding convention centers, which he contends hasn’t spurred on a lot of economic benefits. “The lesson about the NFL frankly is the NFL goes where it works for a team owner and the league. They could leave Los Angeles two decades ago to come to St. Louis and they can come around and leave St. Louis. But what you want to do is have a serious community conversation about what your goals and your purposes are – and that conversation should be done in public,” Sanders said. “And it should be done with some serious recognition that this is competitive. This is not some magic that will necessarily work. “The problem is if you just do what it looks like is the solution du jour, the thing that looked like it worked in one city so you can just translate that and make it work for St. Louis, that’s not likely to serve you very well,” he added. She noted that Nashville recently opened a brand new convention center – even though the city could have simply revamped its existing one. That shows how serious St. Louis’ neighbors are about competing. Convention and visitor business in the St. Louis region appears to have bounced back following a rough period after last year's violence in Ferguson. Now that the St. Louis Rams are Los Angeles-bound, fans of the (formerly) Greatest Show on Turf are likely mulling over whether to start rooting for another team – or tune out the NFL entirely. But policymakers throughout the state have more salient issues to deal with than whether to hop on the Indianapolis Colts' bandwagon -- especially how to pay off the Edward Jones Dome debt. Might the state stop its payments? Tim Woodson developed a pretty unique skill: He creates pirate ships. 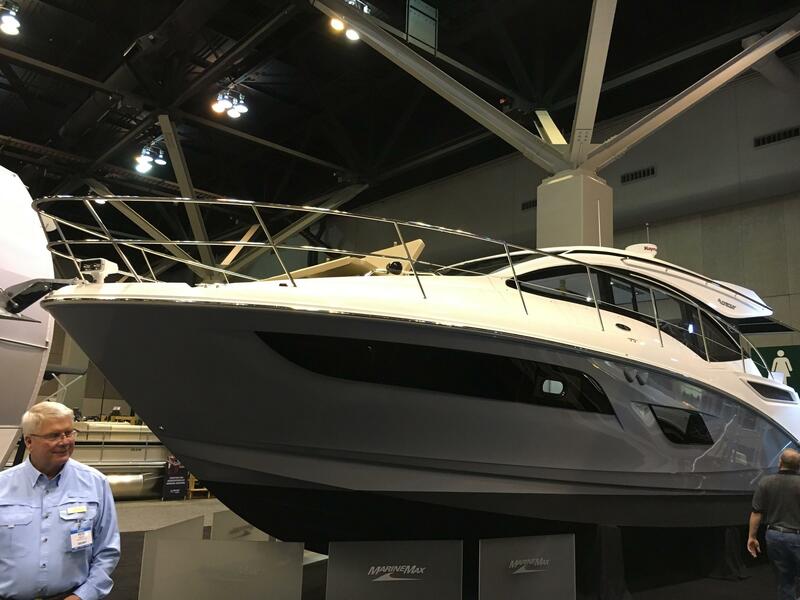 The St. Louis native has spent the last six years entertaining children at the Progressive Insurance St. Louis Boat and Sportshow. He’s even been able to sell some of his creations to a few of the tens of thousands of people who venture to event at the America’s Center and Edward Jones Dome.